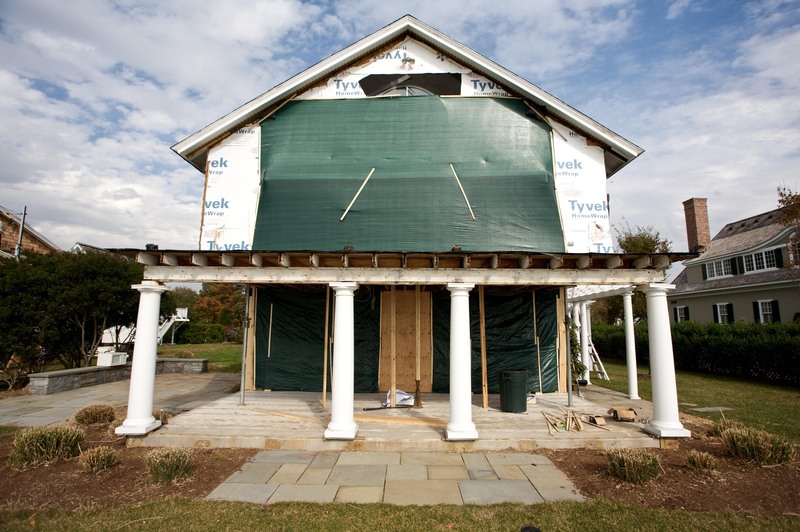 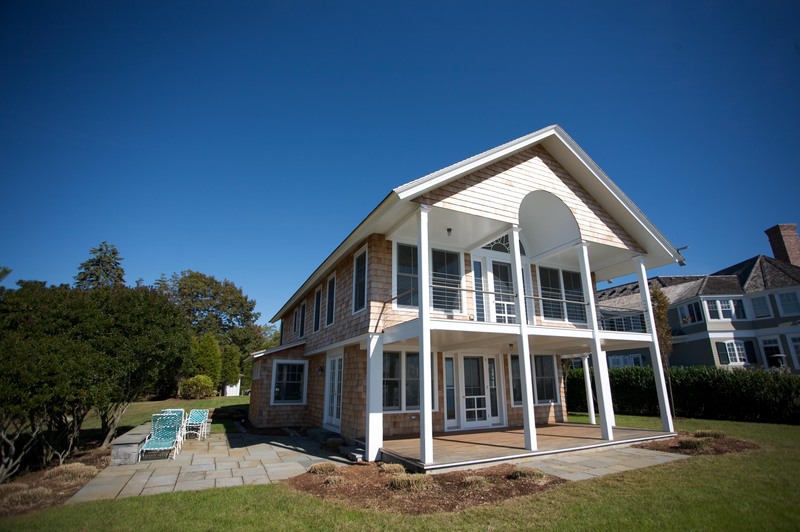 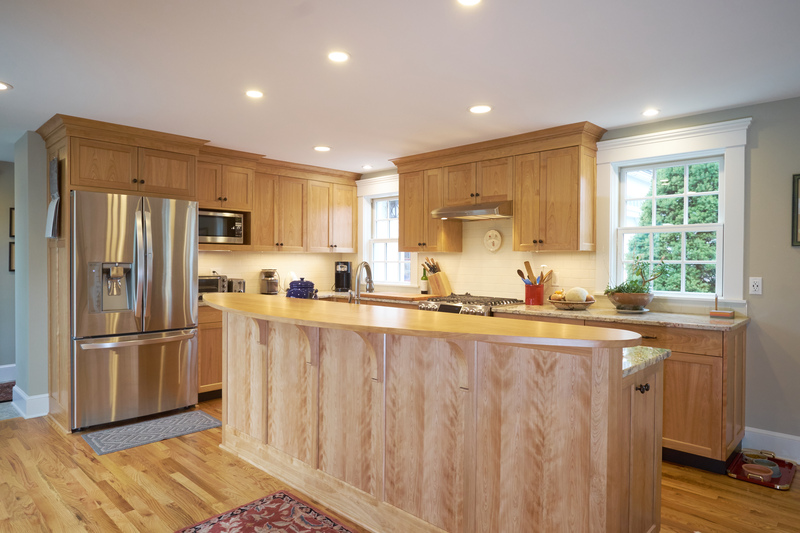 Simmons Quality Home Improvement, Inc. is a construction company based in Clinton, Connecticut that specializes in custom designed new homes and remodeling projects. 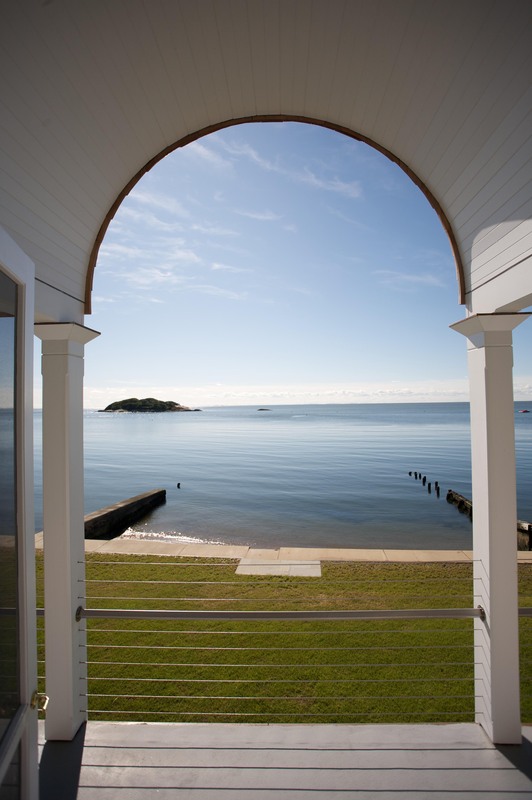 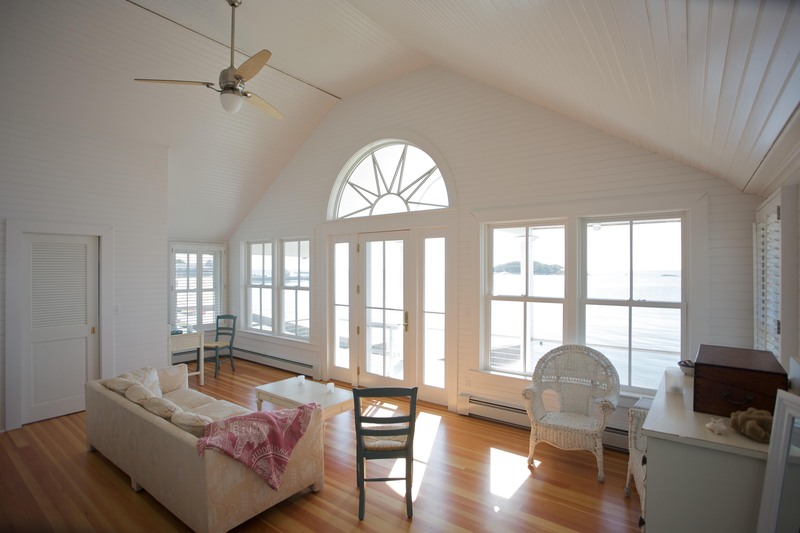 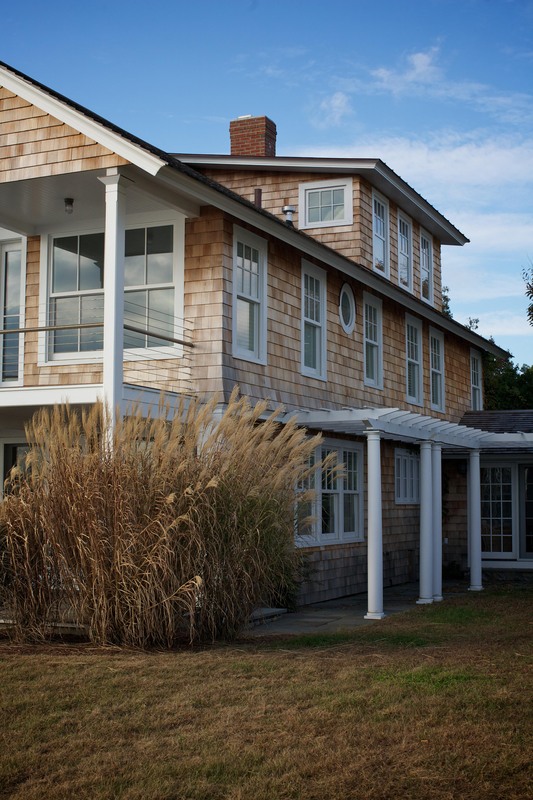 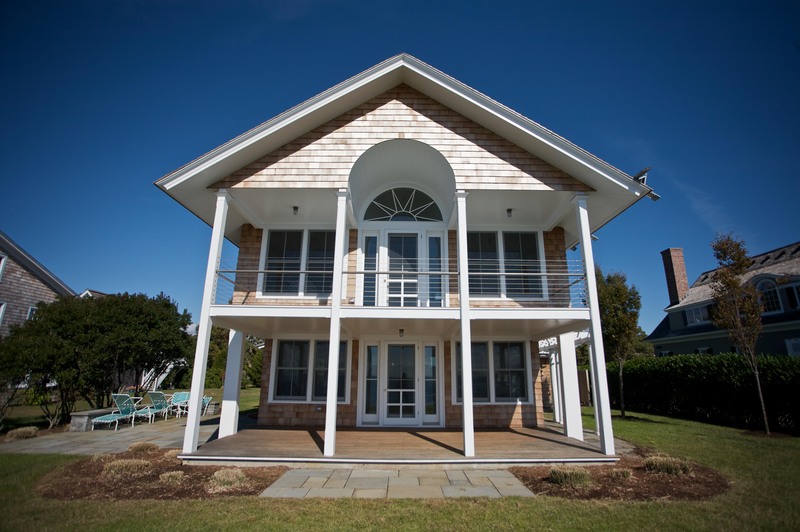 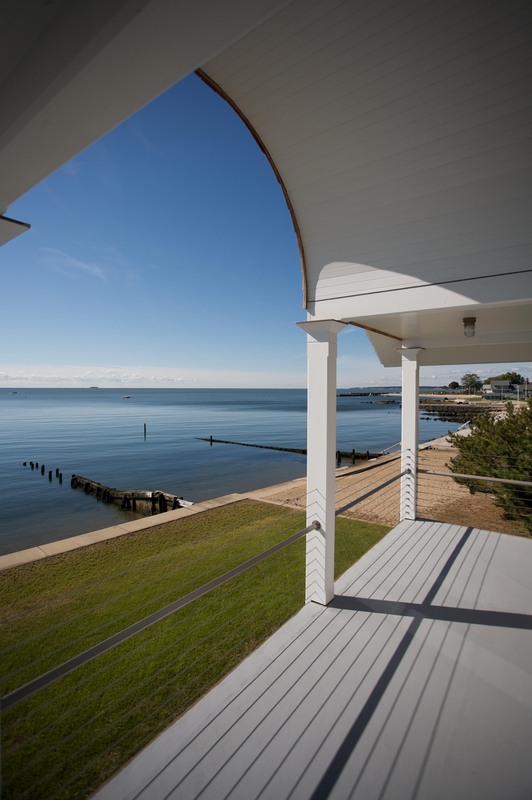 A whole house remodel revived this shingle-style beach cottage. 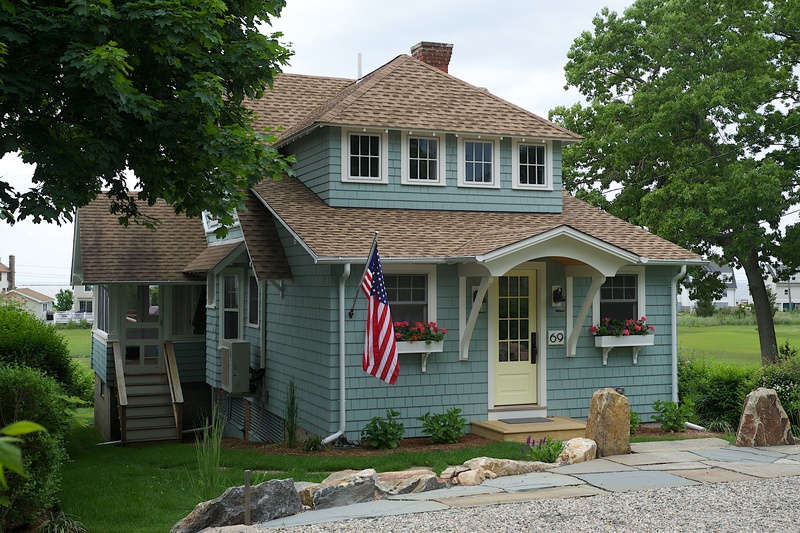 Crown moldings were added to the exterior along with new shingles, roof and windows. 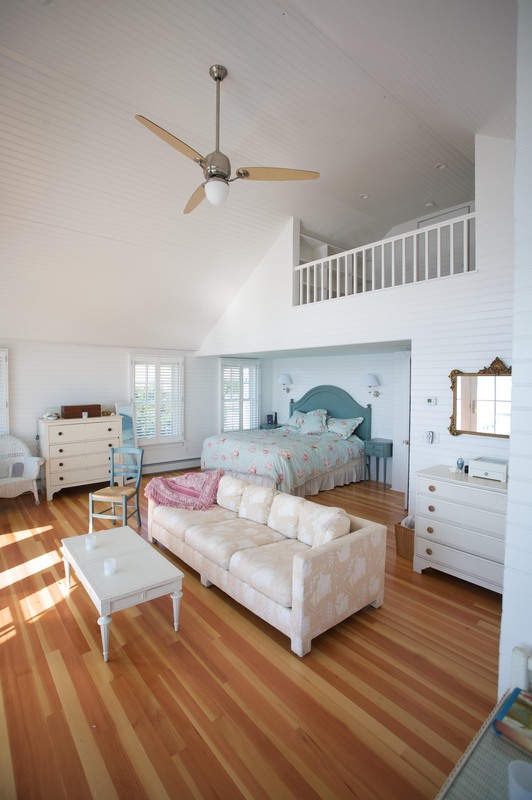 The renovation included the addition of a new master suite complete with bead-board walls and fir hardwood floors. 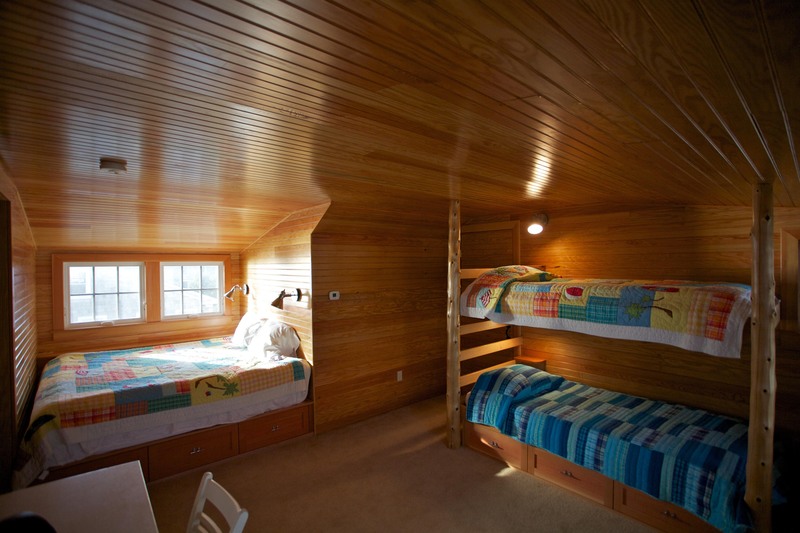 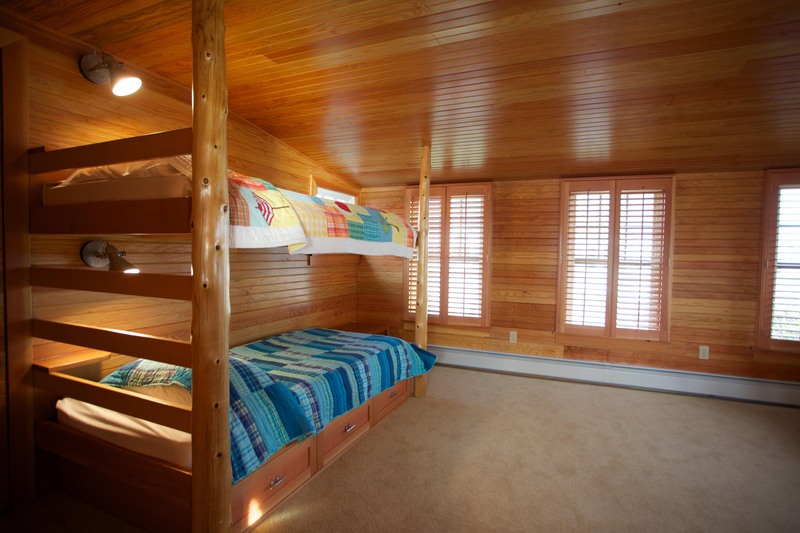 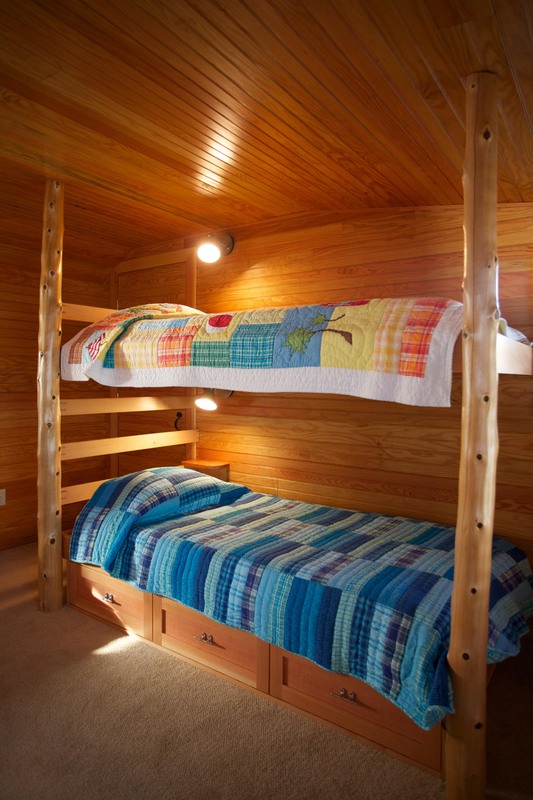 Cedar trees were used to create the bunk beds in the third floor loft. 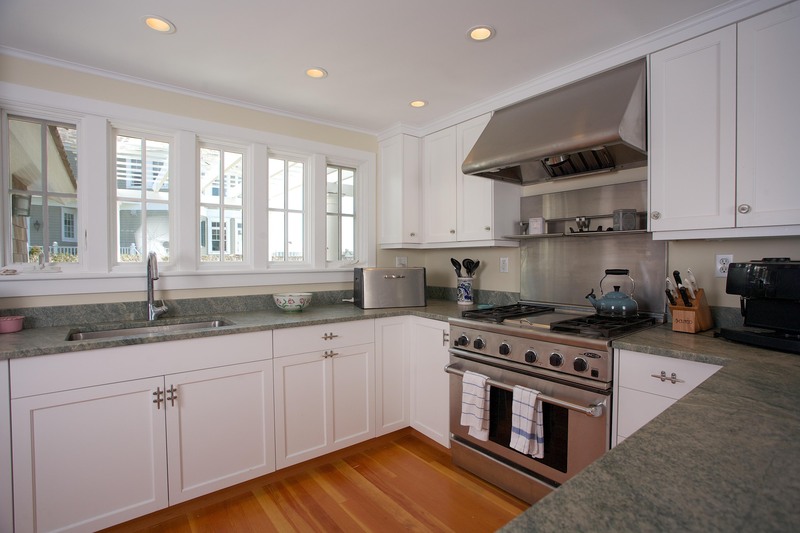 The bright and cheery kitchen has white cabinets that are topped with honed teal colored granite. 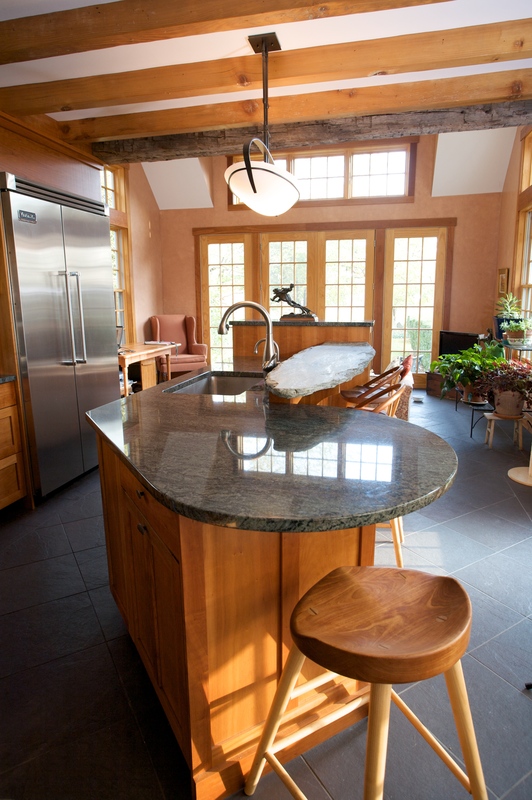 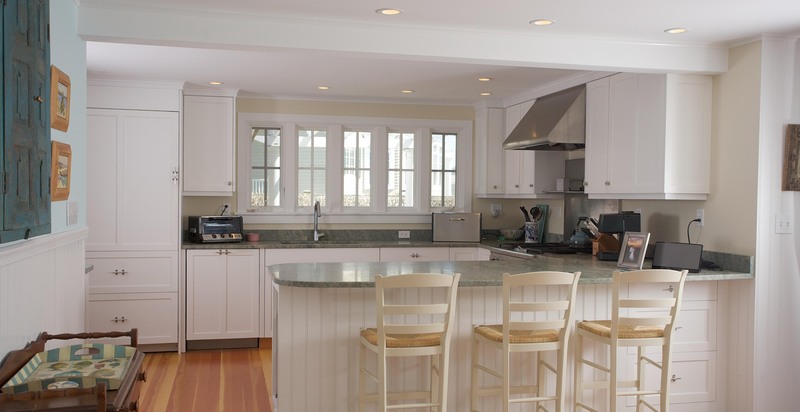 A large peninsula counter opens to the dining area for easy entertaining. 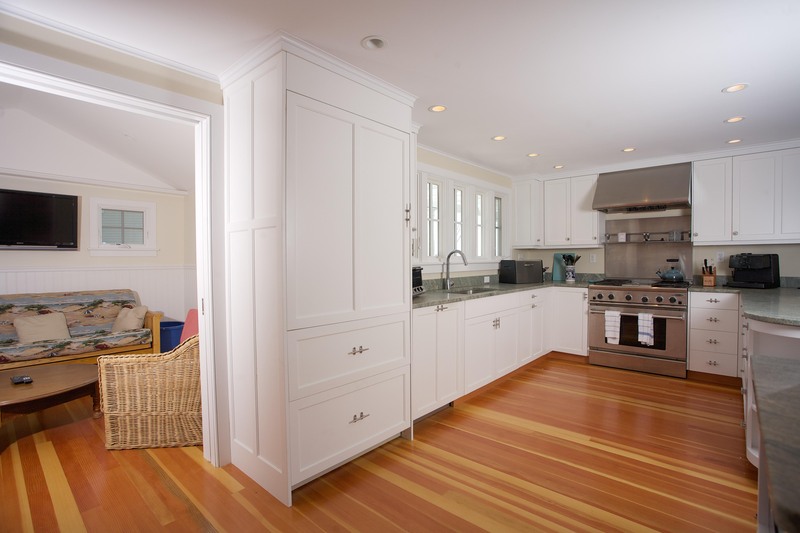 The space is even complete with a wet bar and built-in hutch that also houses the microwave. 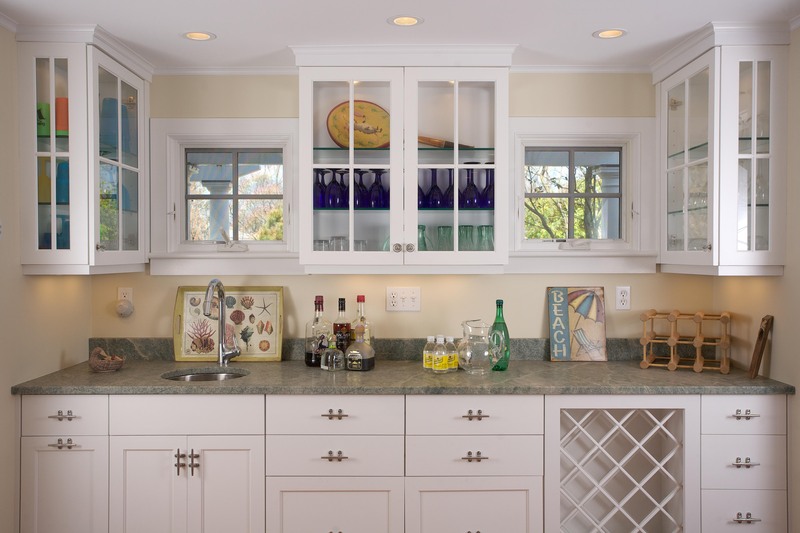 Boat cleats for drawer pulls and antique glass knobs on the doors add a whimsical seaside touch. 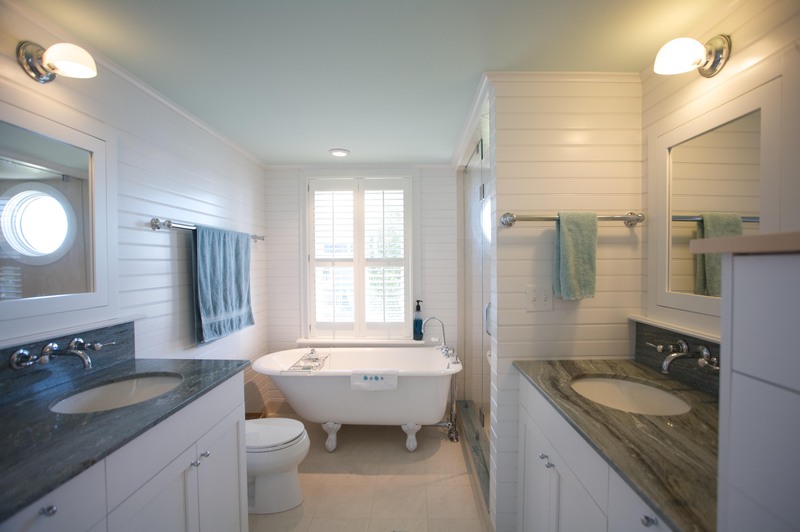 Simmons Quality Home Improvement, Inc. 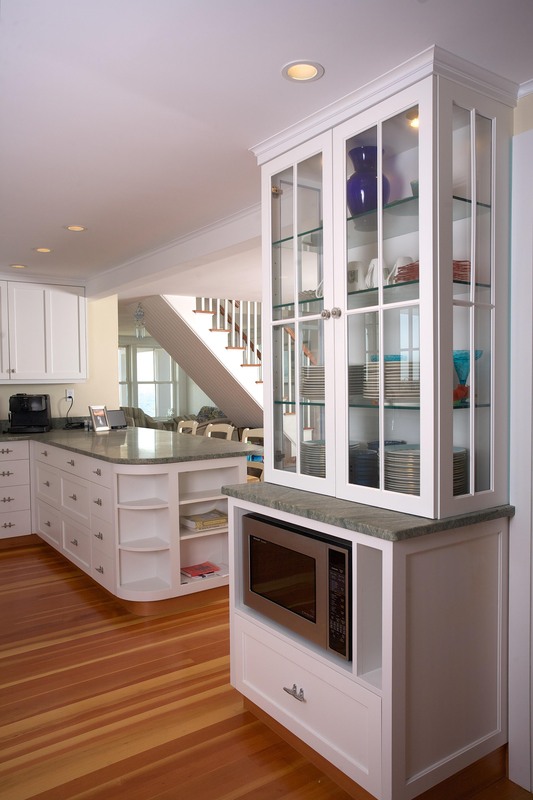 The craftsmanship of the cabinets is impeccable and the attention to detail second to none. 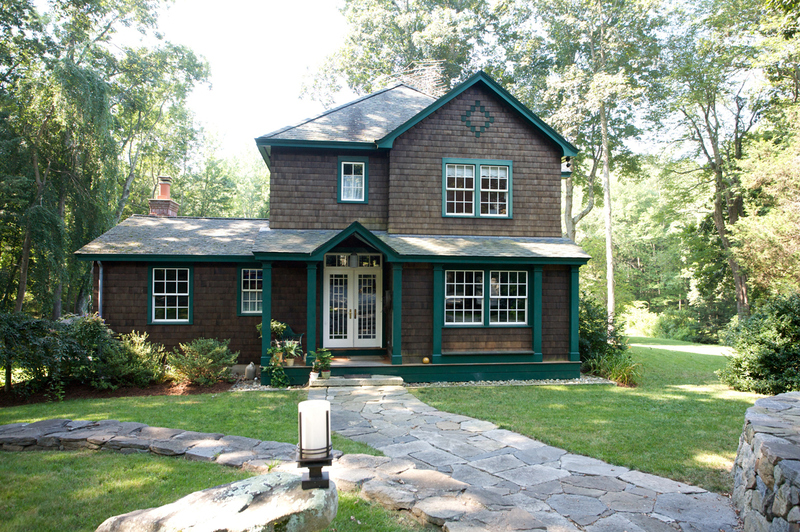 We are absolutely thrilled with the results.